We are getting ready for our 9th Annual Pumpkin Party for the kids. The first thing you need for a pumpkin Party is Pumpkins! And I know you can go and purchase them from a local chain store BUT where is the fun in that? (ok so it's convenient but I like some adventure). I also believe in purchasing from a local farmer to help them and our community. With the exclusion of last year we have purchased pumpkins from this farm every year. Last year they didn't sell any due to the crappy weather conditions. So we set out and loaded out car trunk. First the little pumpkins for painting! Then we headed to the bigger pumpkins. I have to say this was the best part. Watching Mac pick out pumpkins for others kids and getting excited! We filled our trunk for around $20!! Whose ready for Pumpkin & Halloween Parties? Ahhh, I love this! We just moved to a place that has so many u-pick places throughout the year and I just LOVE it! But Fall and pumpkin patches are definitely my favorite! I love pumpkin picking. It's so much fun, especially for the kids. 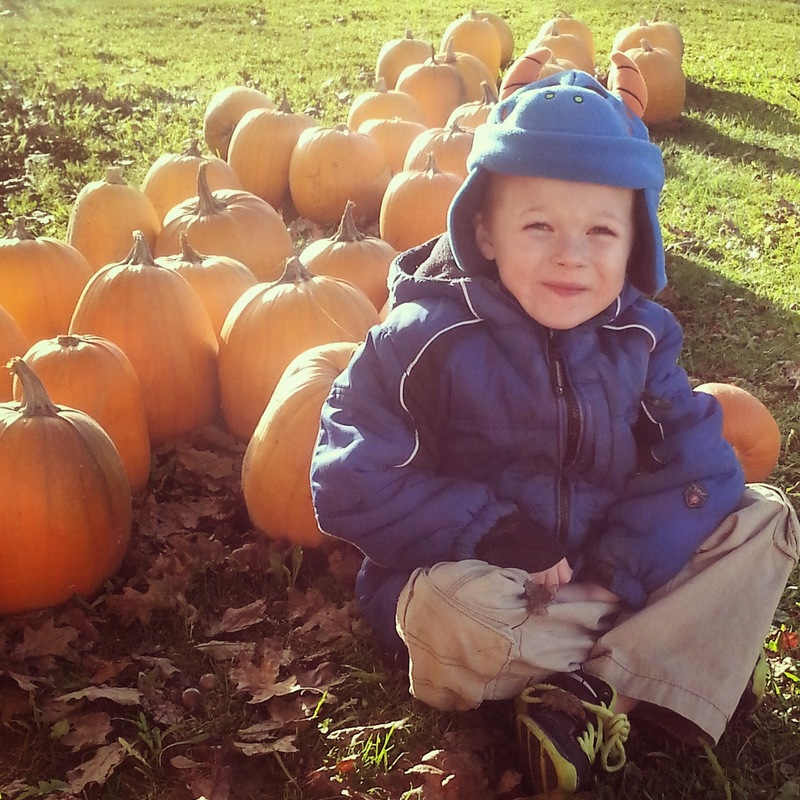 Pumpkin picking is without a doubt one of my favorite fall activities to do with my family!